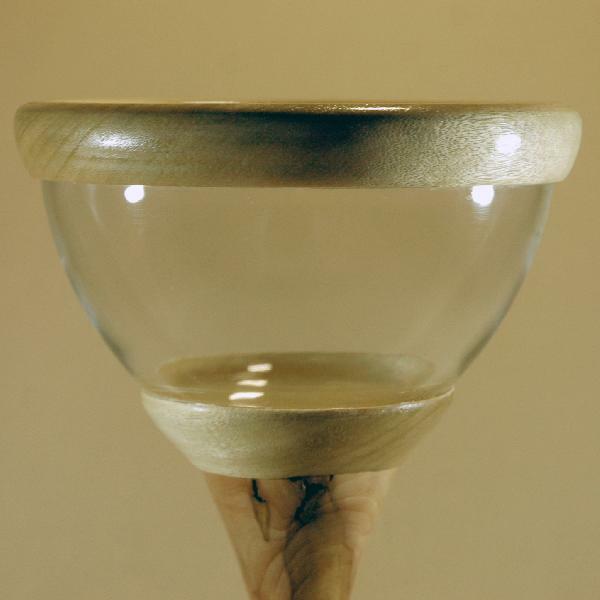 Made of avodire and apple wood, bowl of glass. Dimensions (bowl diameter x height): 17x25 cm; base diameter = 11.5 cm. A grass vase encircled with bright wood and set on a stable tall leg. Great as a candy or fruit vase. A practical and elegant wooden wedding or anniversary gift.